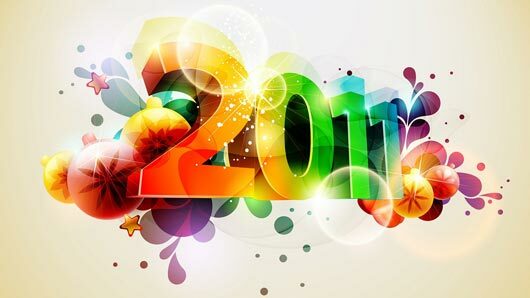 January 2012 – Mobilize This! Every SSHRC Insight Grant now needs a knowledge mobilization strategy. CIHR Partnerships in Health Systems Improvement is all about knowledge translation: CIHR KT Supplements, SSHRC Public Outreach, SSHRC PG, PDG etc. Also funders like IDRC, CHSRF and many health charities are looking for some form of knowledge mobilization/ translation/ exchange (chose your term….they all mean the same thing). What is this thing, knowledge mobilization? David Phipps will provide details about developing a Knowledge Mobilization Unit in the Office of Research Services. He will speak about the services this unit provides and the metrics that they track. This webinar is based on a paper recently published in Scholarly & Research Communications “A Report Detailing the Development of a University-Based Knowledge Mobilization Unit that Enhances Research Outreach and Engagement”. Besides, it’s on Valentine’s Day. And who doesn’t love their job enough to learn about Knowledge Mobilization? Please see the Webinar Poster for further details and how to use the Elluminate Collaborate Webinar Software. 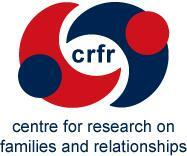 The following blog story was first published on the Centre for Research on Families and Relationships (CRFR) on January 12, 2012. It is reposted here with permission. I was fortunate enough for the ESRC to fund me for a visit to York University, Toronto Canada as part of my PhD studentship looking at how we assess the impact of research. The visit also chimed with my role as Co-Director (Knowledge Exchange) at the Centre for Research on Families and Relationships. This blog reflects on some of by observations about the ways we do KE or KMb on opposite sides of the pond. David Phipps, Director, Research Services & Knowledge Exchange at York was a wonderful host, who set up many meetings and exchanges with like-minded individuals and made me feel very welcome. So the language is immediately different. No-one in my networks in the UK uses the term Knowledge Mobilization – and the ‘z’ makes it appear very North American to us. I also enjoyed the term ‘transition into lunch’ used at a conference! But overall there was more to unite than divide the respective communities in Scotland (UK) and Toronto. CRFR’s model of doing KE was still an exemplar, and there was lots of interest in my work on increasing and assessing research impact. Day one I gave a presentation at the Ontario KMb community of practice – a wonderful way to make connections and set up further meetings. What interested me about the CoP was that it was a real mix of university-based and public/community based KEpractitioners (in health, housing, schools), who all talked the same language around knowledge use. The CoP is large – over 100 members, so 40 can turn up to a meeting at any time, and a fairly high level, knowledgeable discussion of KE issues is possible in that forum. I struggle to think of an equivalent here, although we hope to set up a new KE network from CRFR in the Spring. Having a help desk at events where community members can ask for assistance from the university – I can’t imagine some universities here offering such a service! David and I met with some civil servants in the Ontario Provincial Government from across departments to have a fairly informal chat about KMb and government. They have an emerging KMbnetwork within government with some dedicated resources, not unlike the KE unit within the Scottish Government. Many of the issues of trying to work across departments, timing and accessibility of research, and how to show the importance of research in creating impact resonated with concerns in Scotland and the UK. Other meetings with students in Ben Levin’s department in OISE, with the Children’s Welfare Organisations and with other KEprofessionals in local authority, water board (!) and women’s health added to a very rich and rewarding visit. I even had dinner with my colleague from Edinburgh Sandra Nutley – a rare opportunity to catch up outwith work! David and I have continued our collaboration, with David giving a keynote presentation at our 10th anniversary National Conference ‘Influencing Society: the impact of social research’; us presenting some joint work on the role of knowledge brokers at the London Conference ‘Bridging the Gap between research, policy and practice’ in December 2011, and working on a joint paper on the same topic. 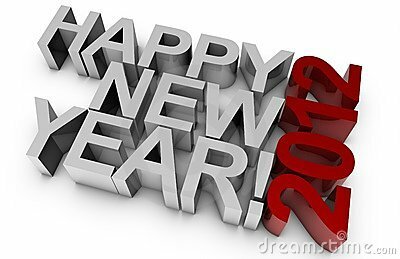 I hope to return to Toronto in 2012, to present my work on assessing research impact and continue this fruitful collaboration. Having just returned from a Caribbean cruise where he mobilized little more than wine and food, David Phipps (RIR-York) reflects on a year of mobilizing knowledge. Making local investments in knowledge mobilization has made Canada a global leader in making academic research accessible to decision makers. Tout juste de retour d’une croisière dans les Caraïbes où il a surtout mobilisé vin et nourriture, David Phipps (RIR-York) réfléchit à l’année passée à mobiliser des connaissances. Les investissements locaux en matière de mobilisation des connaissances ont fait du Canada un leader mondial sur le plan de l’accessibilité de la recherche universitaire pour les décideurs. From 2005 to 2008, York and UVic started building KMb Units thanks to funding from CIHR and SSHRC. 2009-2010 were the years we grew to ResearchImpact-RéseauImpactRecherche (RIR), Canada’s knowledge mobilization (KMb) network. With the local RIR units each building their local capacitates to support KMb, 2011 allowed York to focus on our own local efforts as well as connect to like-minded international initiatives. Welcome Jane Wedlock. In May 2011, we learned that York and our KMb partner, United Way of York Region (UWYR), were awarded a $93,000 CIHR KT Supplement grant. This funding allowed us to place a knowledge broker at UWYR and explore KMb from the community’s perspective. We welcomed Jane on September as our community-based knowledge broker. Jane has already made an impact upon our work. Michael Johnny (Manager, KMb) is busier than ever fielding requests for collaboration from the community – thank you Jane! Welcome new leadership. York’s new VP Research & Innovation joined us in July 2011. Robert Haché brings with him a commitment to connecting York’s research to partners from the public, private and community sectors. Robert is a strong advocate for KMb and the ability of KMb to support social innovations – watch a video of Robert and Daniele Zanotti speaking about York’s KMb services. We also welcomed Lisa Philipps as Associate VP Research who includes KMb in her portfolio. Lisa was Director of the York Centre for Public Policy and Law which has a single mandate to support interdisciplinary research into the role and impact of law in the formation and expression of public policy. Very KMb! We also expanded our ResearchSnapshot clear language research summary series announcing collaborations with our RIR partners at the University of Guelph as well as with the Knowledge Network for Applied Education and Research and Centre for Addiction and Mental Health. York was joined by RIR colleagues at the annual meeting of the Canadian Association of University Research Administrators, Community-University Expo and Congress. Michael Johnny blogged about these trips and it allowed us to publish on our KMb structures and tools inFrench and inEnglish. I also had the privilege of being named Canada’s most influential knowledge broker on September 26. Thank you to Peter Levesque at Knowledge Mobilization Works for sponsoring this survey. York was pleased to host Sarah Morton, Co-Director (Communication and Knowledge Exchange) of the Centre for Research on Families and Relationships at the University of Edinburgh. For two weeks during the summer she visited to continue her research on contribution analysis, a method to evaluate the contribution research makes to policy decisions. While here she and I started work on our presentation at the ESRC Knowledge Broker’s Forum. While in the UK in December I visited Angie Hart and Dave Wolff at the Community University Partnership Program at the University of Brighton. You can view a video of my presentation and also read my opening address to a local community organization with over 600 member agencies. Sarah Morton also invited me to address the CRFR 10th Anniversary conference “Influencing Society – the role of social research” where I was privileged to share the podium with Sandra Nutley of the Research Unit for Research Utilization at U. Edinburgh. Back in North America I finally had a chance to meet fellow tweep Richard Austin (@KTExchange). We grew from tweeting to guest blogging to speaking together at the CDC National Conference on Health Communication, Marketing and Media in Atlanta in August. This international perspective (England, Scotland, US, Canada) allowed me to write two blogs (October 7and November 24) reflecting on the diversity of approaches to KMb in different countries. Increasingly conferences and courses around the world are discussing the impact of research which is maximized through KMb efforts. For the first time SSHRC required that all Insight Grants include a KMb Strategy and articulate the anticipated outcomes of research. There is a growing interest in KMb national and after my travels in 2011 I am pleased to say that Canada is seen as an international KMb leader. Strategic outreach is vital if you want to affect policy, bring media attention to your work or spark a lifelong interest in science in everyone you meet. It’s also the only way you’ll be able to directly communicate the results of your work for social benefit. Une approche stratégique est essentielle si vous voulez influencer les politiques, attirer l’attention des médias sur votre travail ou susciter un intérêt durable pour la science auprès de tous ceux que vous rencontrez. C’est aussi la seule manière qui vous permettra de communiquer de façon directe les résultats de vos travaux pour le bénéfice de la société. Vous êtes invités à apprendre à parler de science lors d’une conférence à l’Université de Victoria en mai 2012. Après deux jours de sessions interactives, vous disposerez des outils pour affiner vos stratégies de communication en utilisant les astuces de scientifiques de haut niveau et de médias qui œuvrent en communication scientifique. 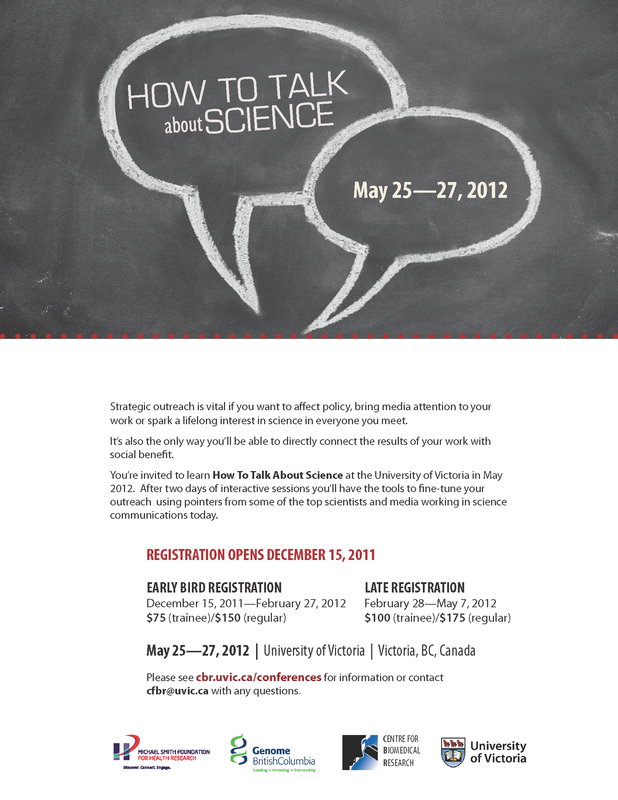 You’re invited to learn How To Talk About Science at a conference at the University of Victoria May 25-27, 2012. After two days of interactive sessions you’ll have the tools to fine-tune your outreach strategies using pointers from some of the top scientists and media working in science communications today. The conference will follow a ‘track’ model, which will include general keynote sessions and panels. The panels link to themed breakout sessions which the attendees can choose. Early Bird Registration is now open and conference registration fees start at only $75 for trainees (Postdoctoral Fellows, Graduate and Undergraduate Students) and $150 for regular attendees. Please see cbr.uvic.ca/conferences for information and a link to registration, or contact cfbr@uvic.ca with any questions. Organized by the Centre for Biomedical Research at UVic, with assistance from the Knowledge Mobilization Unit. 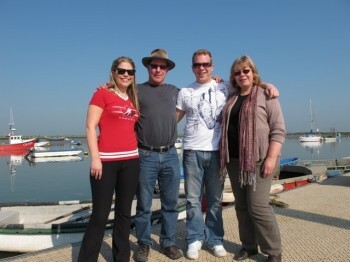 The following blog story was first published in the United Way of York Region’s blog on November 29, 2011. It is reposted here with permission. Meet Jane Wedlock – a Knowledge Mobilization Officer who was hired to work for us as part of our partnership with York University to develop research initiatives that will examine how living conditions (the social determinants of health) affect health. Jane’s position provides community based knowledge mobilization services, which means building relationships and brokering partnerships between community organizations and faculty/students; enhancing access to academic research to support community policy development and program activities through various media; and creating training and capacity building opportunities in conjunction with Community Leadership Resources staff at UWYR. All of those involved have the same focus on the Social Determinants of Health – the factors that really shape our health and wellbeing. This includes issues related to poverty and economic independence, housing and homelessness, immigration, education, and food security. Jane has a good working relationship with the university staff at the KMb Knowledge Mobilization Unit where this work has been going on for the past five years. Having worked with them closely on various projects, Jane adds that with York University, United Way will be hosting a series of five Meeting Houses, entitled, “…more than roads, sewers, stores and schools” (which you can read, here) that will offer opportunities for resident conversations in areas of significant future growth in York Region. “We will be exploring how research/learning opportunities can support these conversations and the subsequent development of social infrastructure in these communities,” explains Jane. This one year project is funded through a grant from The Canadian Institute for Health Research and will provide an opportunity to expand the impact of research on the development and implementation of effective community health policy as well as the delivery of services. Social Media 101 – a lunch hour session to provide an overview of social media tools and their relevance to collaborative research projects. Twitter – a 2.5 hour hands-on session where Twitter is introduced within a research context. Participants can set up an account and learn about practical applications for their research. WordPress – Blogging is emerging as a popular medium to share information and express ideas. Researchers are finding interesting uses for blogs to complement their scholarship. Join us and learn what blogging can do to enhance your KMb efforts. 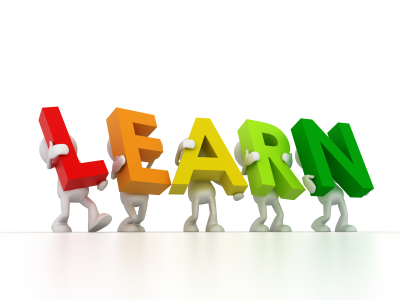 KMb 101 – Maybe you’re familiar with the term, or maybe you’re not. This lunch hour session will introduce you to knowledge mobilization and how services are delivered here at York. KMb Strategy Building – Granting councils are asking more and more for research teams to identify their KMb strategy. In this hands on session, learn about strategic elements, create a draft strategy for your project, and tips on how to present your strategy. KMb Peer to Peer Network – this is an informal network for York staff and researchers who have explicit responsibility for KMb. Come and meet others in similar roles, share and learn from others. Clear Language Writing and Design – Sessions designed to introduce the principles and practical tips on writing for the reader, including diverse audiences. For a complete list of dates, please see the poster below. 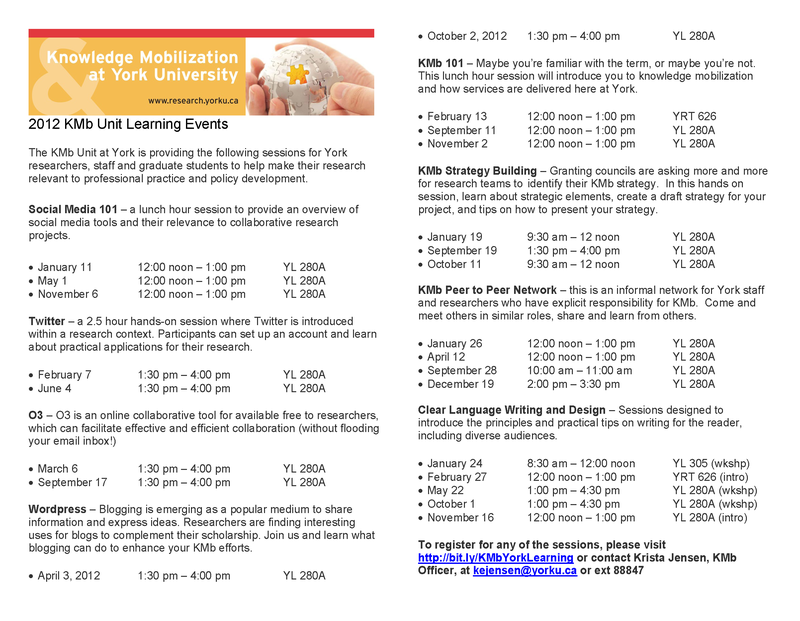 To register for any of the sessions, please visit http://bit.ly/KMbYorkLearning or contact Krista Jensen, KMb Officer, at kejensen@yorku.ca or ext 88847.